Information on one of the most famous mountains in Namibia. See Spitzkoppe Rest Camp for accommodation and camping options. Spitzkoppe, one of the most often photographed sites in Namibia and country's well-known landmark, is located off the main B2 road Usakos - Swakopmund. 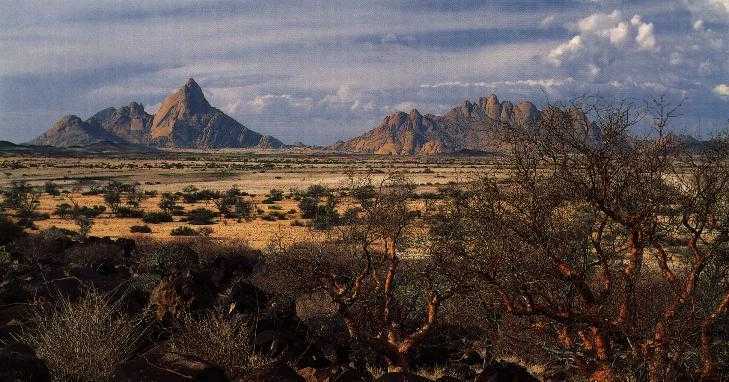 Together with the Brandberg or the nearby Erongo Mountains, Spitzkoppe is the most famous (although not one of the highest) mountains in the country. For the Namibians it is hard to appreciate nature's beauty because it is something that people see everyday and it has become part of their everyday life. However, when people from other countries come to explore the country they truly get amused by its natural beauty.